I admit it. I enjoy watching Nathan Fillion. I enjoyed watching Firefly more intensely than Castle, but I’m happy that Castle exists because I believe strongly in this man’s right to have a steady acting job so that I can enjoy a steady diet of his roguish sense of humor. 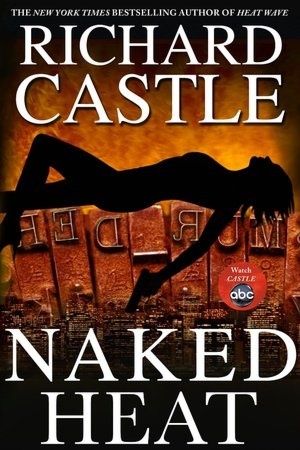 As a mostly regular Castle watcher, I noticed a smudge in the line of reality when those Nikki Heat books that Nathan Fillion’s character writes on the show suddenly starting popping up in my local bookstore. I resisted buying them for at least a year, afraid that the fairly clever merchandising tie-in masked some not so clever writing. And you know, I think it’s fair to say that if you enjoy watching Castle, you’ll enjoy these books. Reading Naked Heat is like reading an episode of the show. It’s really quite remarkable. Kudos to the author for that, whoever he or she may be.